Massive custom shower with multiple fixtures, custom glass and tile work and full custom cabinetry. 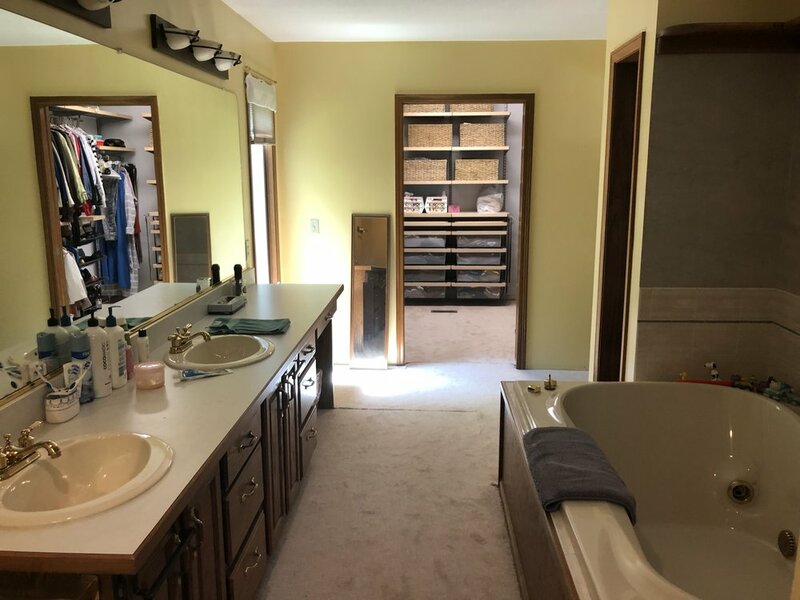 This entire space was transformed and reconfigured to create an amazing spa like retreat, large 6’ x 6’ shower, and plenty of storage within the custom cabinets and quartz countertops. Elegant and modern tile and fixtures make this a beautifully designed and executed bathroom transformation. Complete layout change and transformation for this gorgeous Summerfield Kitchen. Removing the wall and absorbing the formal dining room into this incredible new kitchen space almost doubled the size of the existing kitchen and completely changed the flow and function of the space. We removed the peninsula and added a beautiful island with lots of seating, wall ovens and cook-top, along with two-tone cabinets, granite countertops, and new waterproof flooring. 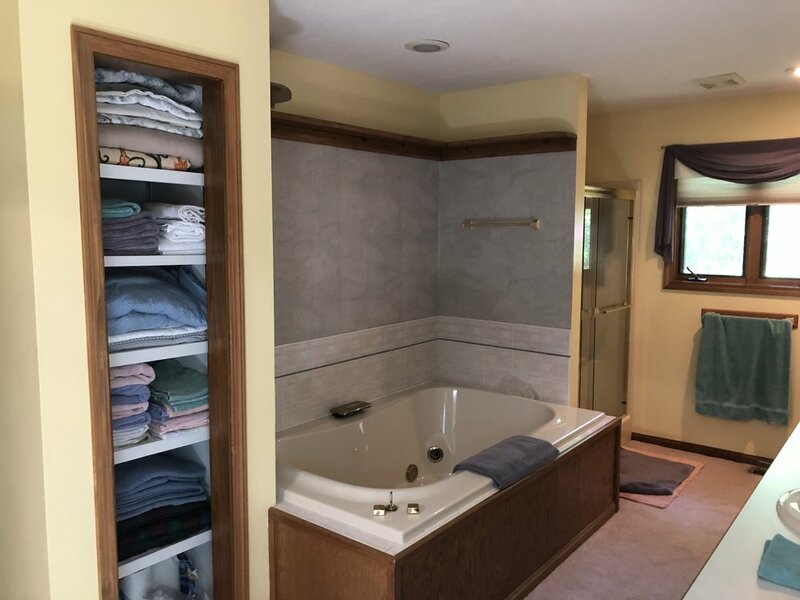 Beautiful update of a traditional bathroom, keeping a number of the existing wood elements while updated and expanding the shower with customer 3/8” frameless glass doors, custom tile work and travertine tile shower floors, and granite countertops. We completely changed the layout, feel, and function of this kitchen. Removing the peninsula, re-working the entire layout, and adding a beautiful large island. Beautiful Shaker White cabinets and Granite countertops. The space has now become a functional and beautiful place for family and friends! We modified the entire layout, function, and feel of this kitchen. Opening up the entire space and creating a 4' x 10' island with four functional sides and bar seating. New and custom stained hardwood flooring throughout the entire first floor works perfectly with these beautiful finishes! Freestanding tub, large custom shower with bench, gorgeous granite and sleek modern tile finishes. We created an amazing spa-like retreat in this newly laid out space. Out with the old and in with the new. Bright and modern throughout. 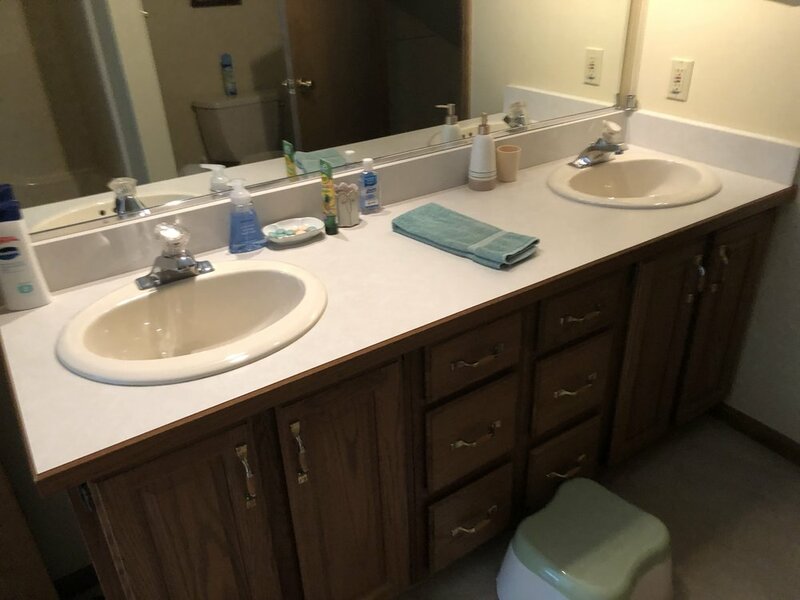 We removed the existing wood cabinets and trim. Beautifully finished with white shaker cabinets and granite countertops. New 100% Waterproof wood look LVT flooring throughout the entire first floor. 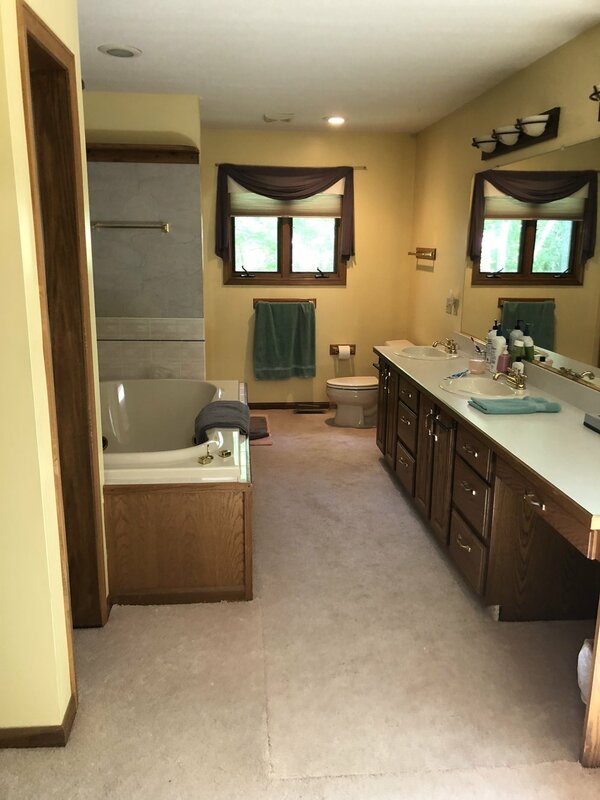 Beautiful Wood tone and Greige Master Bathroom update with a large custom shower and custom tile work. 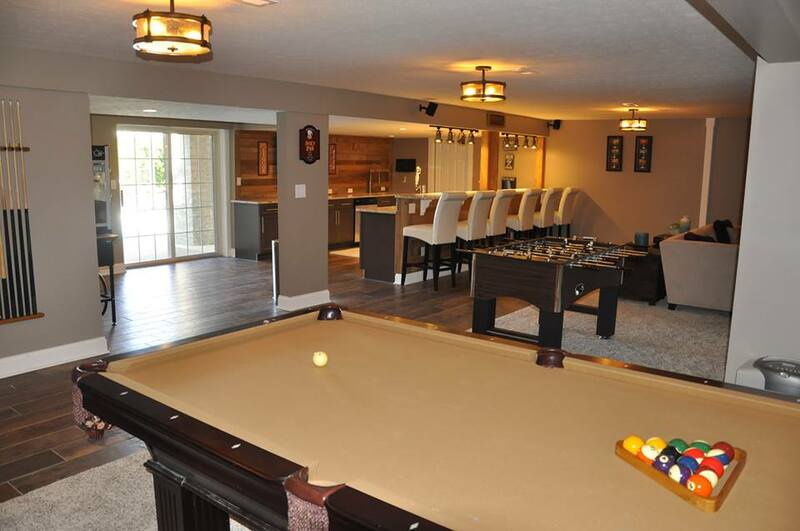 Entire First Floor Remodel: This project turned out beautifully! 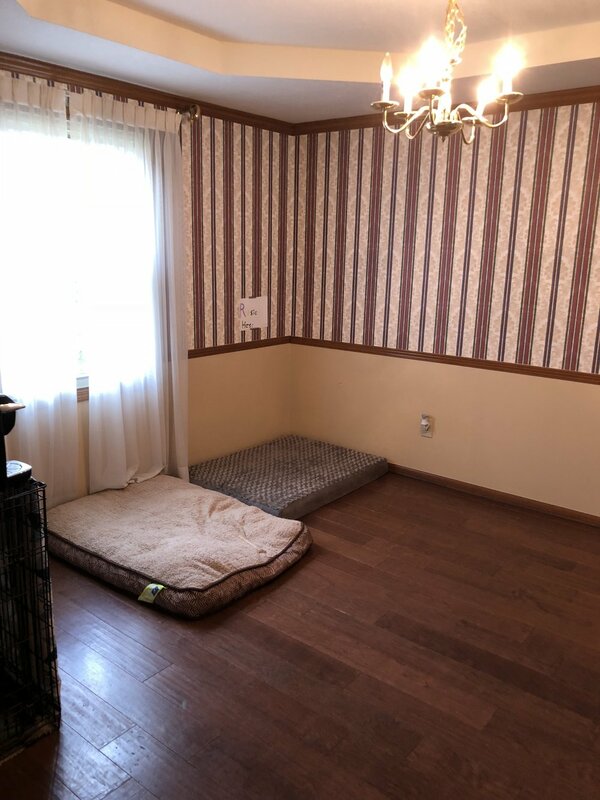 We remodeled the entire kitchen and dining area, and installed new hardwood flooring throughout. 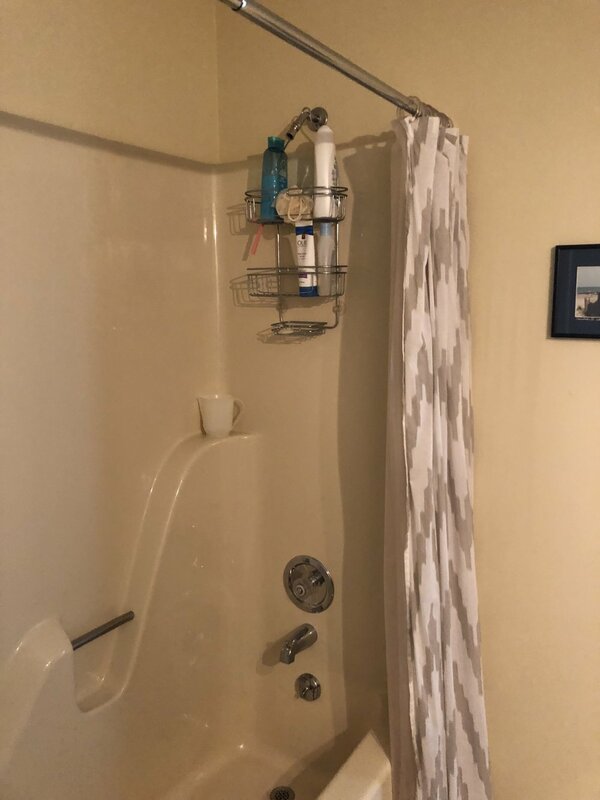 We also gave the bathroom an amazing upgrade with custom tile work, 3/8" frame-less glass doors, and a poured base shower pan. 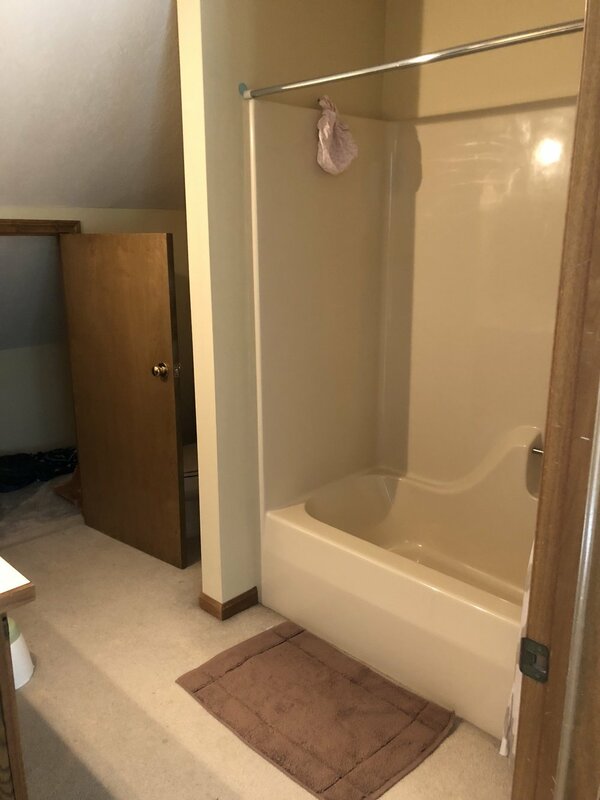 His and Hers vanities, closets, and a large modern shower and jetted tub. Clean and modern custom tile work throughout. Keep an eye on this section as we update and upload our current projects and content to our new site.